Dubai is one of the seven Emirates that make up the United Arab Emirates. It is a city that is determined to redefine luxury, and mix it with functionality in a charming unique mixture. Jumeirah Village Triangle is a great example of luxurious lifestyle and practical living. Jumeirah Village Triangle or JVT is a freehold community in Dubai; it lies between Emirates Road and Al Khail Road. The community offers an excellent location in Dubai, only 15 minutes from the beach and 30 minutes from Dubai International Airport, just off of Sheikh Zayed Road and adjacent to Jumeirah Island, Palm Jumeirah and Palm Jebel Ali. Jumeirah Village Triangle consists of 6000 elegant villas spread amongst beautiful landscapes, several blue lakes and state of the art leisure amenities. Villas for sale in Jumeirah Village Triangle offer a great living experience in a self-contained community, everything you can ask for is easily found nearby. The development features outstanding amenities and first-class facilities. Jumeirah Village Triangle includes pedestrian and cycling friendly pathways, swimming pools, football pitches, tennis courts, croquet lawn, fitness gyms and 24/7 security. The renowned Dubai attractions near the development include Dubai Marina Mall, Dubai Pearl Mall, Ibn Battuta Mall and Mall of Emirates. Various and plentiful shopping options as well as great dining options can be found in all these malls. In addition to that, Dubai Sports City and Dubai Motor City are in close proximity as well. 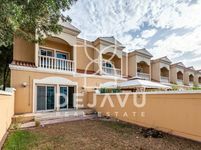 Villas for sale in Jumeirah Village Triangle make an ideal choice for families as there are many great schools in the area, such as Dubai British School, Dubai International Academy and Emirates International School. 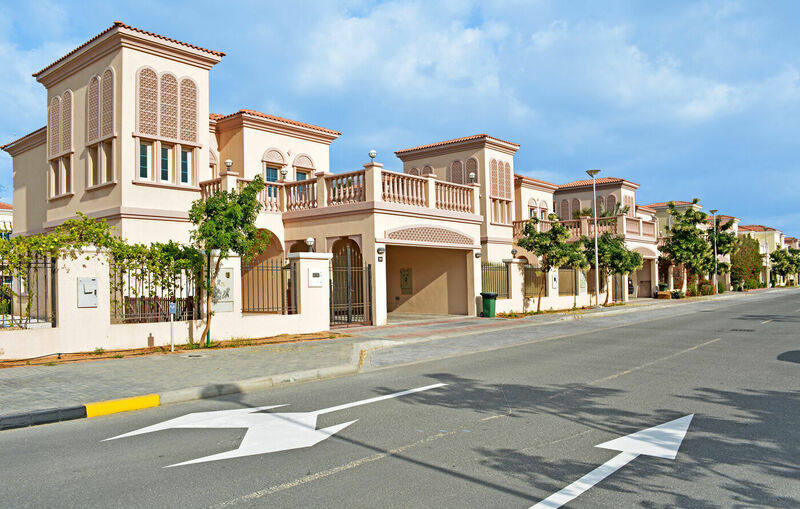 Villas for sale in Jumeirah Village Triangle can be found in several different styles; the development comprises one and two-bedroom townhouses as well as two-bedroom villas, three-bedroom villas and four-bedroom villas. Villas for sale in Jumeirah Village Triangle are designed in classic Arabian and Mediterranean architectural styles; they feature elegant exterior design and excellent interiors with distinctive red roof tiles, arched doors, ornamental columns and patterned tiles. Each villa for sale in Jumeirah Village Triangle has a private garden and backyard; some villas even feature a private swimming pool. Why buy a villa in Jumeirah Village Triangle? Villas for sale in Jumeirah Village Triangle make a great choice. 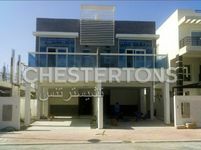 The development is located in a great location in the heart of Dubai. The all-inclusive community holds everything its residents might need. And the community itself is a happy family-friendly community. Moreover, villas for sale in Jumeirah village triangle are very popular because they offer a great deal. You can find villas for sale in Jumeirah Village Triangle starting from 2,300,000 AED to 4,000,000 AED, depending on the size and the location of the villa. In addition to that, buying villas in Jumeirah Village Triangle is a popular choice among expat families as it is a freehold community. Overall, Villas for sale in Jumeirah Village Triangle offer an amazing lifestyle in the heart of charming Dubai within a reasonable price.